I love reading stories to Baby Bookworm but I am not the most talented at bringing the characters to life. My voice repertoire consists of posh and deep, and I inevitably end up confusing the two – especially when I read Oi Dog. Thankfully there is Holly Dabbs, the one woman band behind Travelling Tales, an immersive storytelling experience for under fives. We have been attending her weekly sessions at Smallprint book shop in south east London for a couple of months now. Each Wednesday, Holly takes a book like Where The Wild Things Are by Maurice Sendak or A Little Lost by Chris Haughton and creates 40 minutes of music, activities and sensory fun around it. There are familiar songs and elements that your child will get to know, such as playing the shakers, a rainbow parachute silk to wave and bubbles at the end. Into this Holly weaves aspects of the book, homemade puppets and an animated storytelling. Holly has a background in outdoor education and participatory art, founding Foxglove Forest School and giving storytelling sessions at places like Hampton Court Palace. She is also a mum of one so knows exactly how to keep little ones engaged. Baby Bookworm does have a cheeky habit of running off into the shop (owner Jenny has sensibly started barricading him in) but I know he enjoys the group very much. As I do! 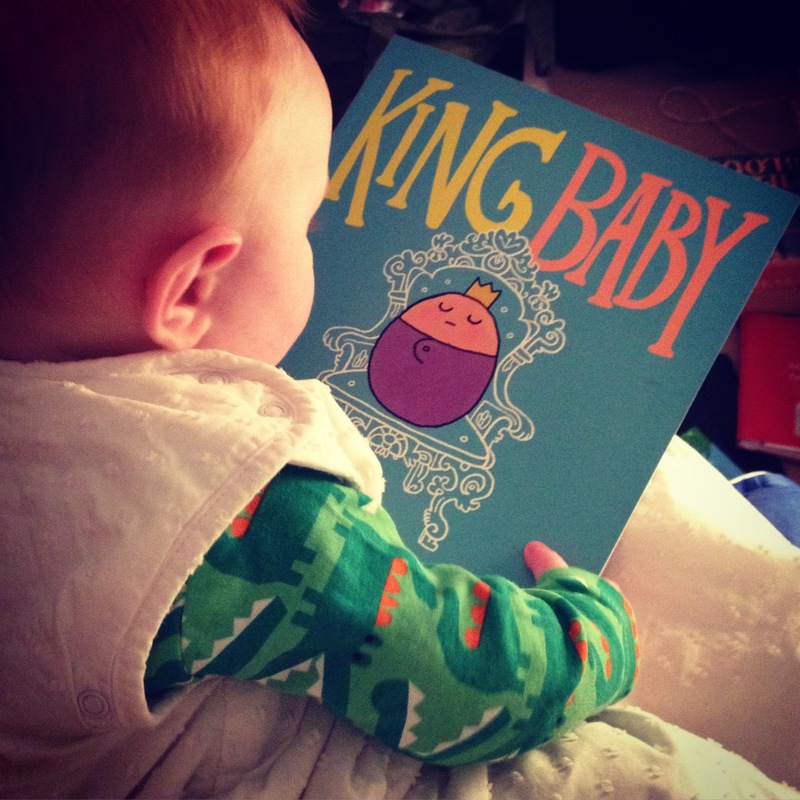 It’s nice to have someone else read the story for a change and enjoy it with my son. And if you can’t make Wednesdays, Holly has just started Monday afternoon sessions at Takes A Village in East Dulwich, a new social enterprise for parents. Even better, go to both! Where are all the leading ladies?